The first one, the ‘Kaibutsu-kun’ opening, has the kind of storyboard that might be fun to draw for a director, but which is certainly something like hell for animators. The second one, the ‘Highschool! Kimengumi’ opening, is more reserved regarding background animation and camera moves, but I think it’s pretty well done. There’s no credit for opening animation so it’s not clear who animated it, but it’s been rumored that Yoshiji Kigami might have done the key animation. Kigami also worked on the show itself (he storyboarded episode 20), which was at the very beginning of his career as director. Interestingly, Yamakan recently mentioned that ‘Highschool! Kimengumi’ was his mentor’s (i.e. Kigami’s) directorial (or rather storyboarding) debut work, but I think (if the information on Sakuga@wiki isn’t wrong) Kigami had already done the storyboard of Galactic Patrol Lensman #5 some time before that. Either way, Kigami was very close to Fukutomi during his time at Animaruya. 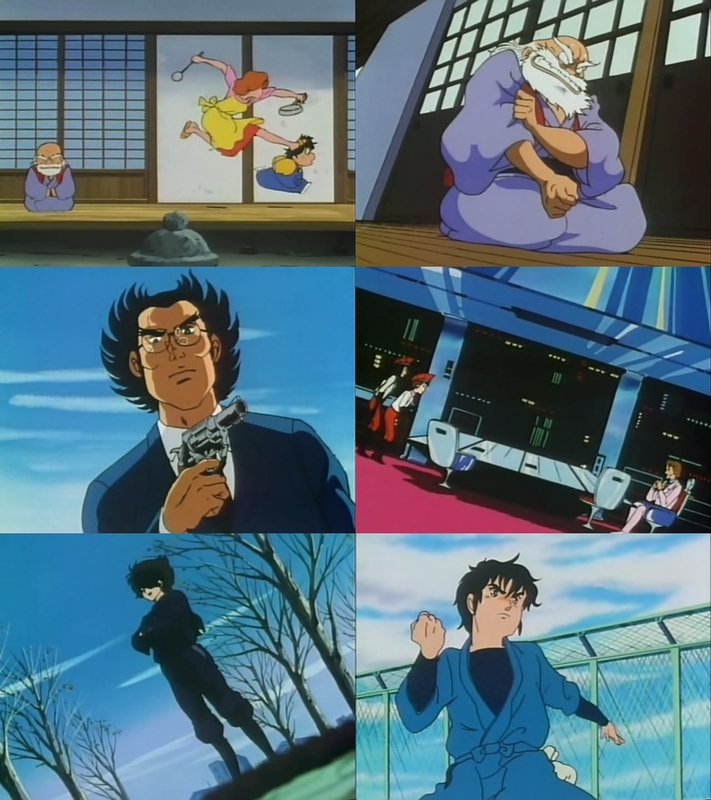 The peak was certainly the OVA ‘Shin Dosei Jidai: Hawaiian Breeze‘ where Fukutomi directed and Kigami was the animation director (there’s no character designer credited, so I guess Kigami did the designs, too). Unfortunately, I’ve never had the chance to watch it since the OVA is pretty rare. Other examples can be found in Kanon 2006 #19 or in the Jikkyō Powerful Pro Yakyū game openings.